It was found to be very helpful in the learning process of students. 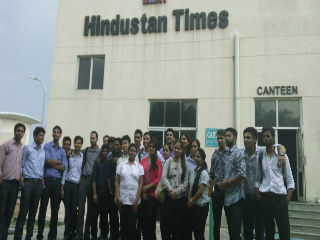 Students were got to know the hidden facts of Newspaper printing and enjoyed the whole process. The support staff answered all the queries of the students as they all were curious to know about the complete cycle of paper printing and the Management Facts.